Random Acts Is Headed To San Francisco! Attention all Supernatural fans! Are you obsessed with all things Sam, Dean, Castiel, and Crowley? Want to spend a weekend with your favorite show and help us #GetKind at the same time? You’re in luck! 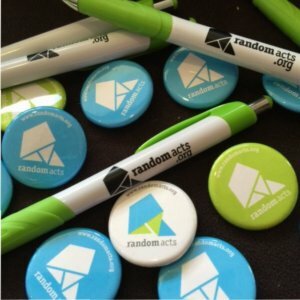 From Dec. 3-4, the Random Acts team will be present in the vendors room at Creation Entertainment’s Official Supernatural Convention in San Francisco — and we’ll need your help to accomplish all our kindness goals over the weekend! I’m in! How can I help? As per tradition, we’ve partnered with a local charity to do our part in helping that corner of the globe. If you’re looking for a more extensive list, head over and check out Raphael House’s Amazon wishlist. 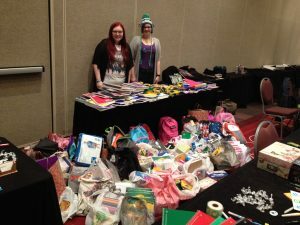 In addition to collecting items throughout the weekend, Random Acts will also be heading over to Raphael House itself the Monday following the convention (Dec. 5). There, along with a team of volunteers (that means you! ), we’ll be wrapping holiday gifts for the center’s Adopt-a-Family Holiday Program. This “Monday Mission” will run from 10 a.m. to 12:30 p.m. PT, so make sure to sign up now if you’re interested, and one of our staffers will contact you with more details. But hurry! Spots are reserved on a first-come, first-served basis! What if I can’t make it to the convention? That’s perfectly okay! We’re always looking for ways to get our supporters involved in their own communities. Take some inspiration from the amazing staff at Raphael House and find a homeless shelter in your own community that could use an extra helping hand (or two… or three… or take as many friends along with you as the center says are OK and make a holi-day out of it!). Still looking to donate to Raphael House? Head over to the center’s website and make a one-time or recurring online payment, or find even more ways you can be of assistance from afar. We’re ready to had a #GetKind good time in the City by the Bay — will you join us?